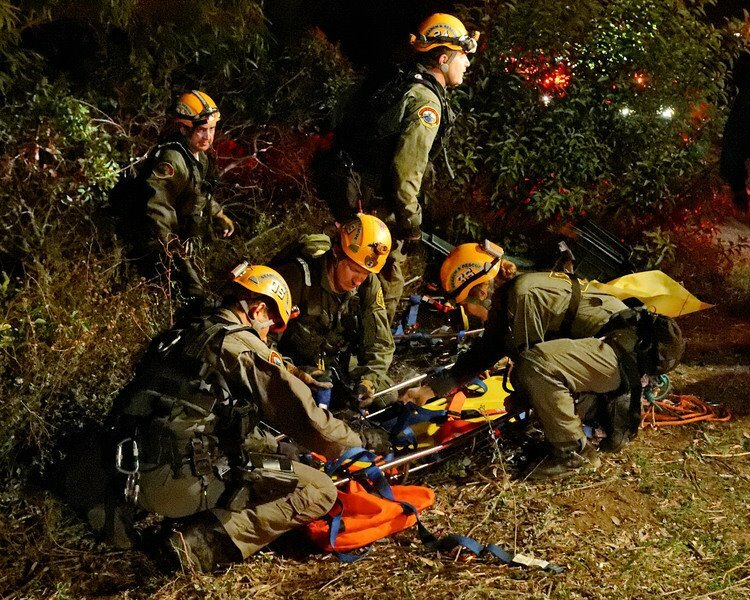 When community children or adults are missing - whether down a hillside, lost in the mountains, trapped in a ravine, lost in a cave or injured in difficult terrain – Los Angeles County Search & Rescue Teams are often called to respond. Our teams locate and rescue those in precarious situations often in community mountains and hillsides. Our highly qualified team members are all unpaid volunteers donating their time and in many cases purchasing their own equipment. 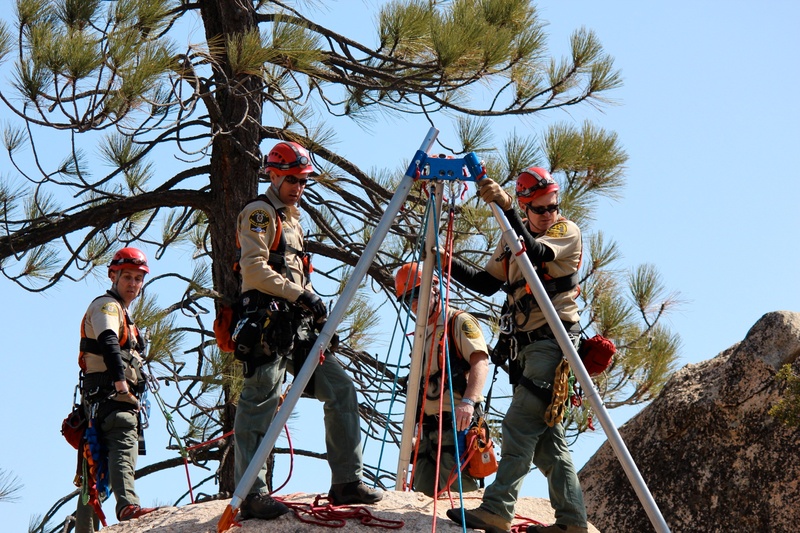 Most team members have graduated from the LA County Sheriff’s Reserve academy, are a qualified Emergency Medical Technicians, and are trained in mountain rescue. For over 50 years, Los Angeles County Search & Rescue teams have been counted on to locate and assist lost, hurt, or trapped people in mountainous, hillside and urban settings. Some of our teams are also trained in such specialties as cave, tunnel, mine and water rescues. Teams are deployed throughout Los Angeles County and can be called up for statewide deployments during emergencies. 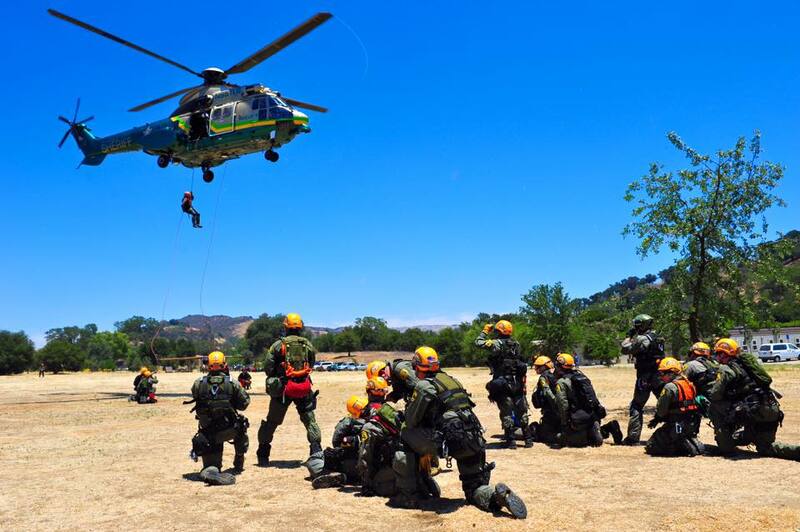 The search and rescue teams are all volunteer organizations comprised of Los Angeles County Sheriff's Department Reserve Deputy Sheriffs, a select few Civilian Volunteer Specialists and Incident Support Personnel. Team members volunteer their time and efforts to help others and the teams do not charge for rescues. The teams are units of the Los Angeles County Sheriff's Department and is also members of the prestigious California region of the Mountain Rescue Association. Venturing out in the worst of weather, in the dark of night, to locate and rescue a lost hiker or rescue trapped occupants of a vehicle that has gone off the road and over the side of the mountain, isn't for everyone. Rappelling out of a helicopter to rescue someone stranded by wildfires isn't for everyone. Dedicating over three years of your personal time to acquire the skills and experience to become a team member isn't for everyone. But if making a difference in the lives of strangers and victims you have yet to rescue, serving our community, and becoming a part of a team who have all made the same commitment appeals to you — think about applying to become a member of one of our teams. Saving lives is what we do — and if that appeals to you, if you have the heart and soul and time to dedicate to the training and experience we have to offer — complete the application, or contact us for more information. 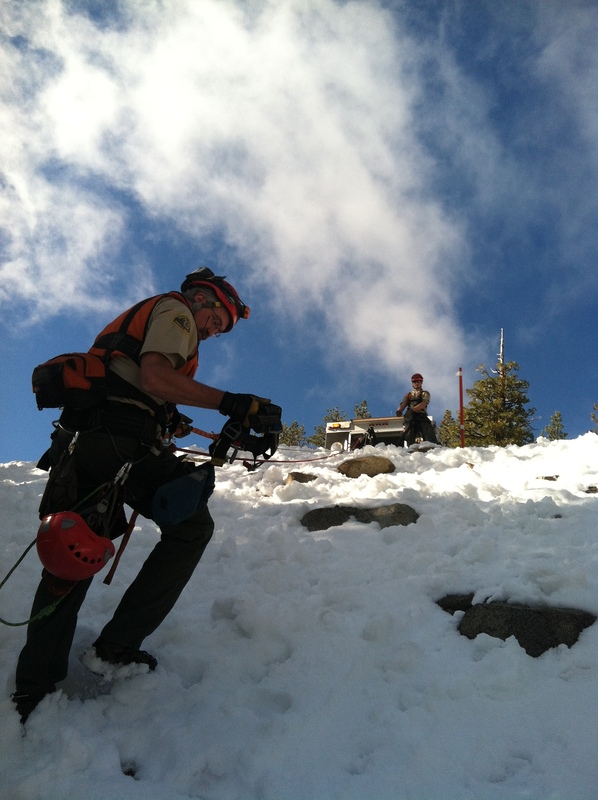 The LA County Search and Rescue teams of today are continuing a legacy of service for the community. Explore this rich history through a selection of historical photos. We honor those who have come before and strive to maintain the excellence that was set out from the founding members. 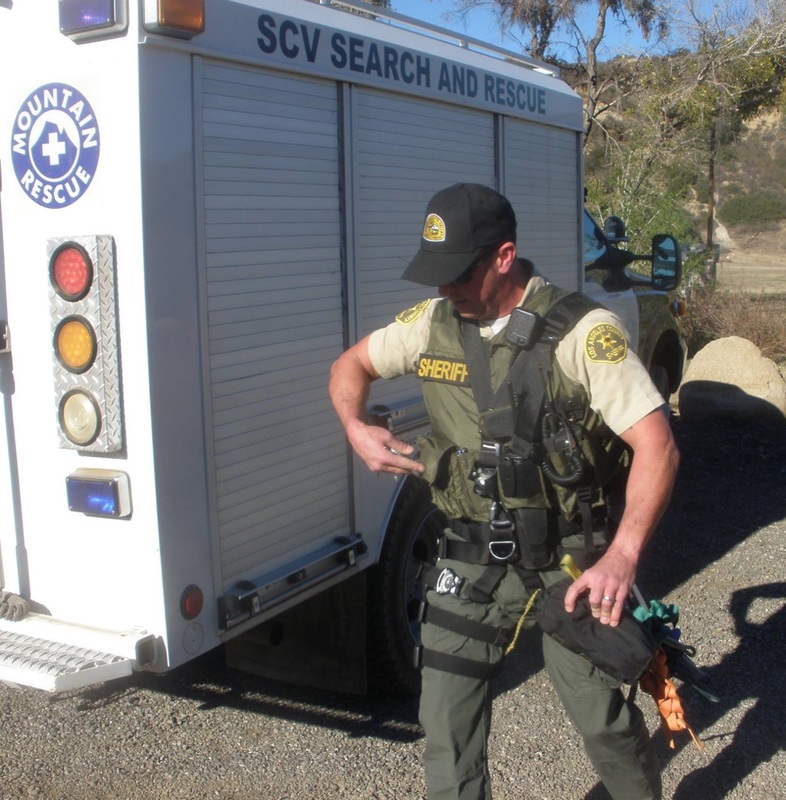 The Search and Rescue teams function as the Sheriff's Department's official emergency response unit. The unit provides services to those citizens who become stranded, lost, or injured in the mountainous areas of Los Angeles County.